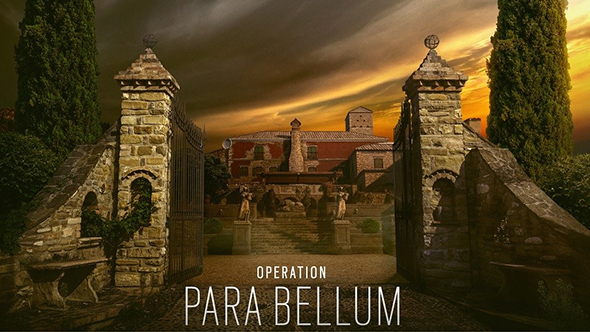 Ubisoft provided an extensive look at the new Villa map coming to Rainbow Six Siege with Operation Para Bellum today during the Season 7 Pro League Finals in Atlantic City, and once the map is live, players will be able to jump in and explore the Italian country manor for four weeks, without waiting for it to pop up in their playlist. All you have to do is fire up Rainbow Six Siege and select the Villa icon on the front page. It’ll drop you straight into a queue using only the Villa map in casual play. There’s a lot to learn about Villa – it’s a three-storey home with tons of destructible walls and ceilings, with a subterranean “crypt” entrance leading into the basement. The upstairs bomb sites lie on either side of a long, wide hallway, and attackers are going to have a tougher time than usual making their way in. Rainbow Six Siege is on our list of the best multiplayer games on PC. Para Bellum also includes two new defender operators, Alibi and Maestro, and you can check out our hands-on impressions of them here. They both bring new gadgets to the mix, with Alibi using holographic decoys and Maestro using armored, laser-firing “evil eye” cameras. You’ll be able to jump into the new map on the technical test servers starting Tuesday. In the meantime, here’s everything we know so far about Para Bellum.